City staff “strongly recommends” additional research before purchasing property. The Halifax stadium struggle is real. A report headed to Halifax Regional Council next week is again recommending additional study is needed before HRM can commit to a sports stadium at Shannon Park. 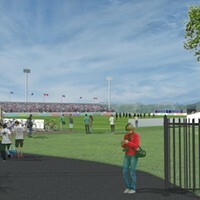 Prepared by acting supervisor of community planning Carl Purvis, the report recommends HRM continue working with the Canada Lands Company on concept plans for Shannon Park, including exploring opportunities for diverse and affordable housing and expanding on previous plans for a 10,000 and 14,000 seat stadium to look at the possibility for a 20,000-plus permanent seat stadium. But while the “window is closing quickly” on what can be done with Shannon Park, staff still recommends careful study before committing to a stadium. 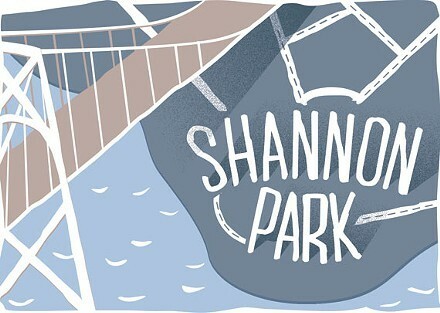 Shannon Park has been the home to an imaginary stadium in Halifax’s collected unconscious for close to a decade. In 2006, Council gave WHW Architects $2.4 million to produce a report on the feasibility of a 25,000-seat stadium as part of its failed Commonwealth Games bid. In 2011, we tried again. Despite being advised by staff there wasn’t enough time for due diligence on a stadium before the 2015 FIFA Women’s World Cup, council spent nearly half a million dollars only to find out the original internal advice was correct. 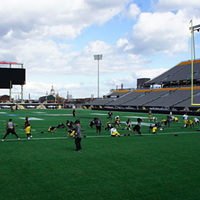 Research on similar cases across Canada compiled for this report suggests a hard limit is needed on the public investment in a stadium, along with strong private development of the surrounding area. Purvis writes that the cost-benefits here remain “extremely difficult to assess” because of the high number of variables in building a stadium—let alone building one on Shannon Park. 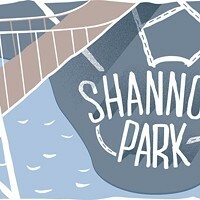 The 95-acre Shannon Park site was used for Department of National Defence housing from the 1950s until it was declared surplus in 2003. Save a school, the majority of the 40 buildings on the site are currently un-occupied and long past their expiration date. 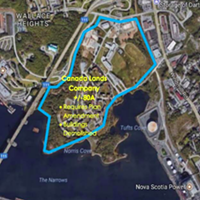 An arms length, self-financing Crown Corporation, the Canada Lands Company has been working with the city to plan for the future use of the Shannon Park lands. But the clock is ticking. 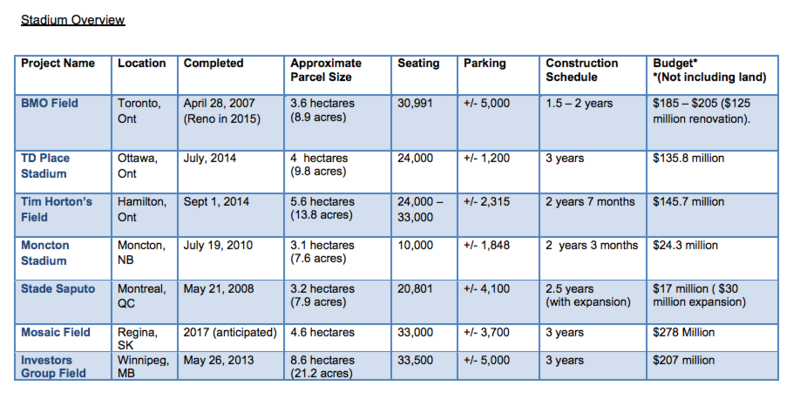 The more time it takes to come to a decision, Purvis warns, the less flexibility will be available as CLC ramps up its planning. A formal application by the city for the redevelopment of the lands is expected to be submitted in early 2016. The demolition of Shannon Park’s buildings will begin in the next few weeks and carry well into 2016 given the asbestos and other environmentally-sensitive substances likely present. Ultimately, Purvis writes, Halifax’s stadium fantasies and the future of Shannon Park may part ways. “Saying no to a stadium within Shannon Park does not mean that a stadium would be impossible elsewhere within the municipality." Halifax says it's taking on no financial risk with the proposal. Maritime Football Limited says otherwise. 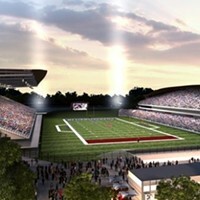 Sports and Entertainment Atlantic wants to build a 5,000-to-6,000 seat facility on the Wanderers Grounds. 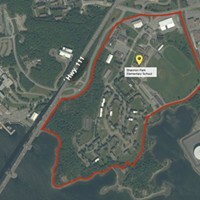 Sports fields at unused military property will remain off-limits, even while redevelopment lags.